While this may sound cruel for the kids in your house but you can afford to be festive and unique both at the same time with the no candy fest at home this time. 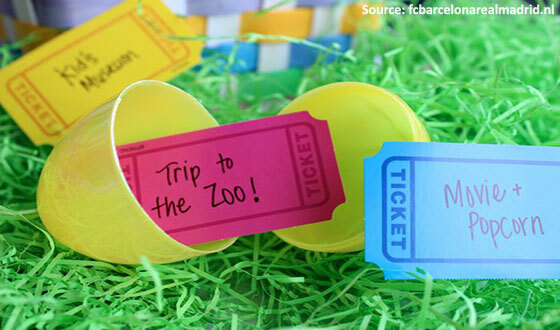 Rather than handing out Easter candy eggs to your kids, this time fill the eggs with reasonable rewards like getting them their favorite children’s book or a lunch date with you at their favorite lunch joint. The internet is filled with many such interesting ideas that you can implement this time around during Easter. One thing is for sure. You won’t have to worry about your kid’s cavities and a visit to the dentist any time soon. A win-win for everyone involved, won’t you say? We all love a sense of thrill in our lives and what better way to spend this Easter than a fun-filled treasure hunt? Whether you are playing this with your family or friends or your little kids, you can decide on the level of difficulty that you want to set for the hunt. Rather than hiding the clues in different things, try putting them all in Easter eggs and lead your loved ones around on a merry chase. Each clue that they manage to find can lead to small treats or lead to a bigger prize at the end of the hunt. You can start by giving the first hint and then sending your potential players to their respective hunts till they can locate each of the Easter eggs you have managed to hide. Well, its Easter and you would surely want to be creative this time around right and what better way to do this than organizing an Easter-themed attire for the day and asking everyone visiting your place to do the same. At the end of the day, once everyone has shown up, you can even hold a best attire or costume competition amongst your friends and family. While you may be planning an Easter themed party, don’t forget to decorate your home. Well, who doesn’t like small furry animals. This time during Easter, you can rent the services of a love petting zoo around your city and avail their services for the day. The kids, toddlers and even the grown-ups would love their fair share of interacting and playing with some little furry friends like bunnies, hamsters, ponies etc. There are many such mobile petting zoos around the US that provide rent for hire services for customers on an hourly basis for the public so they can relive some childhood memories or let their kids enjoy their very own private petting zoo. A dream comes true that would be for many folks. Easter is associated with bunnies and the Easter bunny will never go out of fashion or ideas with which you can enjoy the Easter with your friends and family. How about you spruce up your Easter party a little with a small game of your own? 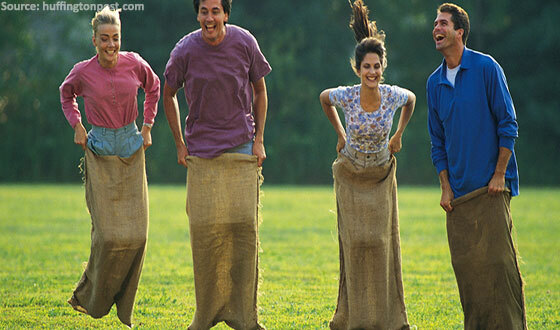 A bunny sack race. Adults and kids can equally partake in this goofy yet festive idea. It’s a fun idea than being stuck on your TV screens or just baking Easter eggs for your guests. To complete the effect, you can even make some bunny hats for the participants taking part in the bunny sack race. Winners get Easter candies or some Easter themed gifts. Whoever may the winner be, this event would surely be a laugh riot for all the people involved. How about getting the winners some basket coupons from Leonards Gift Basket or simply presenting them with one? So, there you have some perfect ideas that you can incorporate this Easter and have some amazing time with your friends and family. After all, Easter is a fun festival at play. Why shouldn’t you make the most of it?